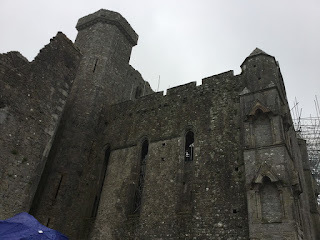 I am up too late in my Ireland hotels endeavouring to organize and write on my blog. 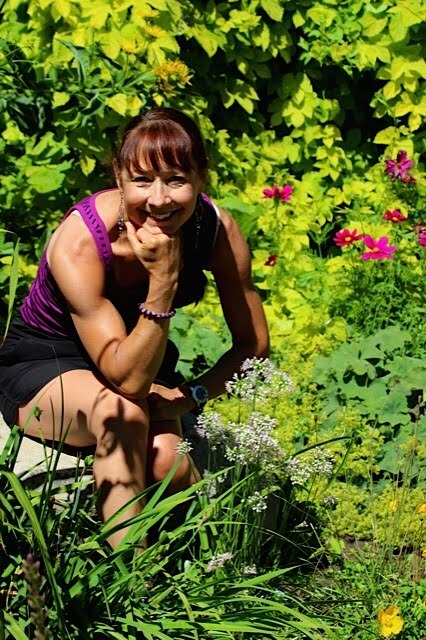 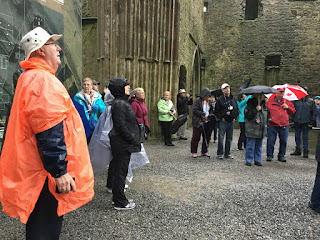 We are being inundated with so much information and seeing such incredible sights that it is difficult to hone in on something quick and precise for this blog. 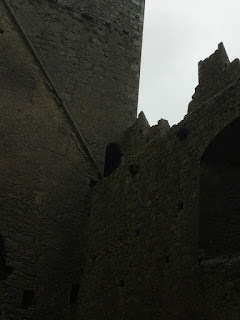 What I love about IRELAND are the stone structures such as a remaining wall from a medieval castle, or a tower, or old monastic buildings. 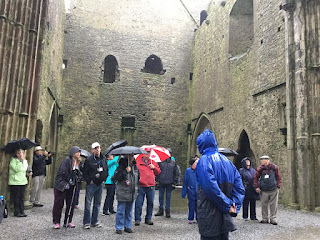 Yesterday was a day of walking tours and it poured all day and it was darn cold. 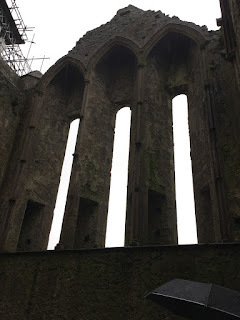 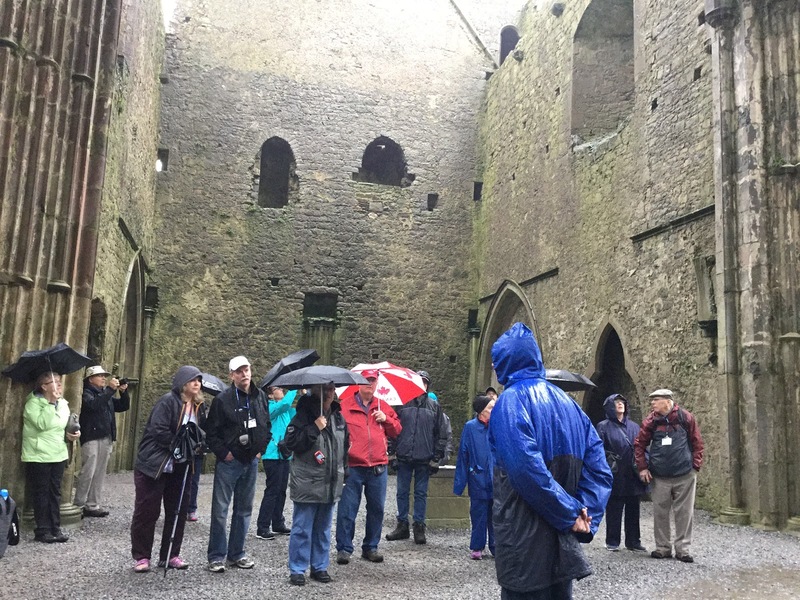 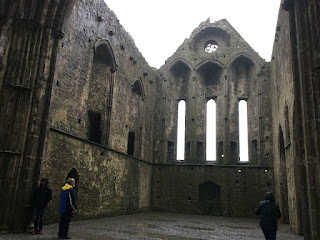 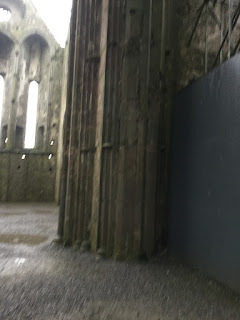 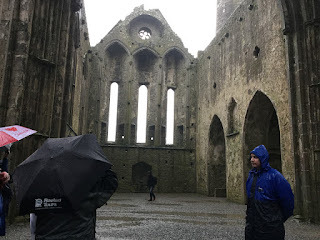 We toured through the ruins of the Rock of Cashel. 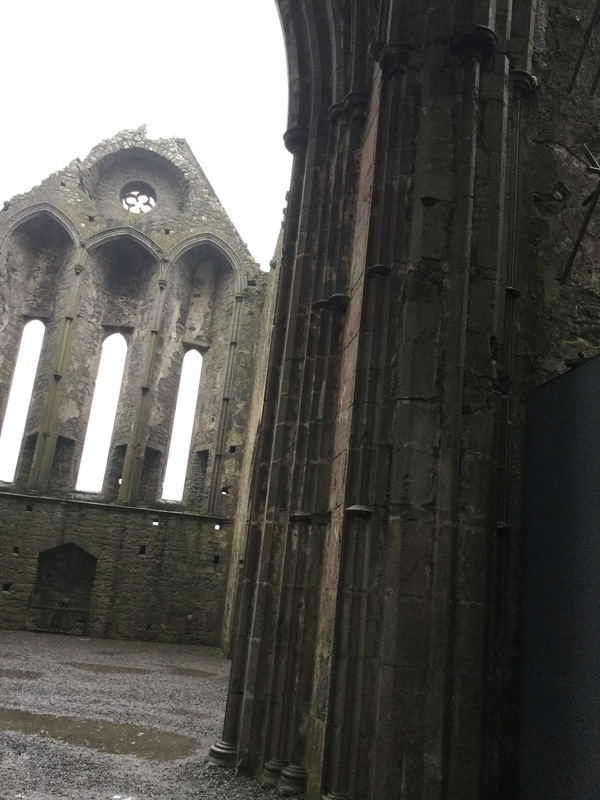 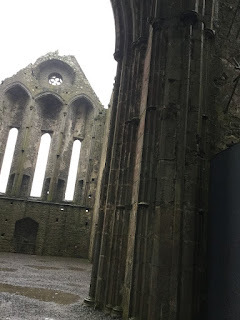 In the Country of Tipperary, Cashel is a magnificent site and one of Ireland's greatest historical wonders; the seat of the King's of Munster visited by St.Patrick in 450. It is said that St. Patrick baptized many of the first Christians and converted King Aengus, King of Munster.